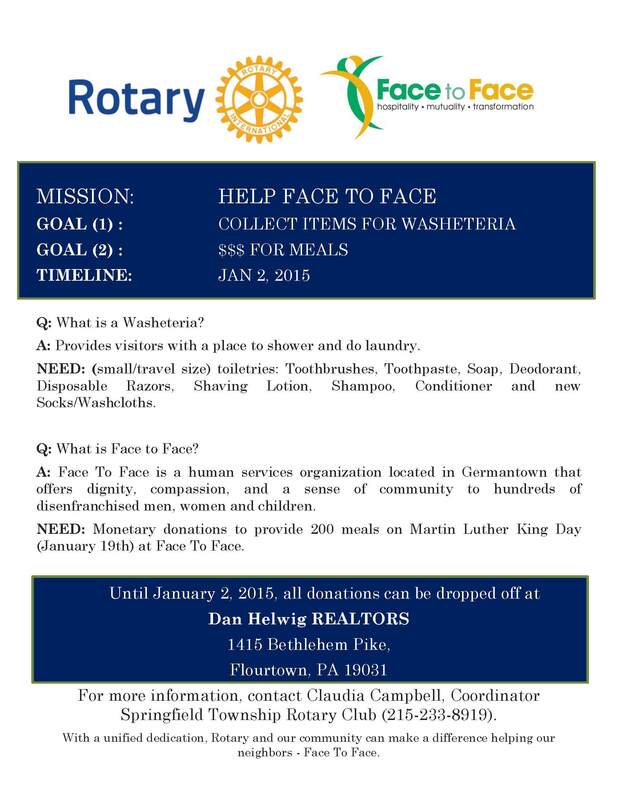 This holiday season thru Martin Luther King Day, Springfield Rotarians are collecting monetary donations and toiletry items for Face to Face in Germantown. Children at St. Genevieve’s in Flourtown have offered to help the homeless too by collecting sew socks for those less fortunate. Rotary invited Sister Theresa and some of the children to Rotary as a thank you. 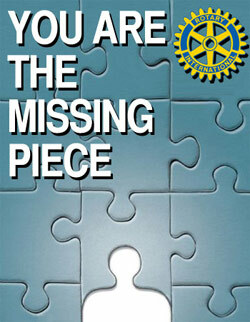 For more information please visit www.SpringfieldRotary.org. to see how you can help. Q: What is a Washeteria? A: Provides visitors with a place to shower and do laundry. NEED: (small/travel size) toiletries: Toothbrushes, Toothpaste, Soap, Deodorant, Disposable Razors, Shaving Lotion, Shampoo, Conditioner and new Socks/Washcloths. Q: What is Face to Face? A: Face To Face is a human services organization located in Germantown that offers dignity, compassion, and a sense of community to hundreds of disenfranchised men, women and children. 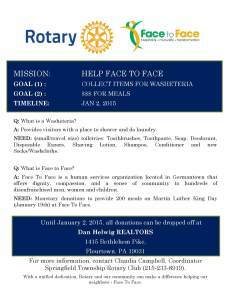 NEED: Monetary donations to provide 200 meals on Martin Luther King Day (January 19th) at Face To Face. 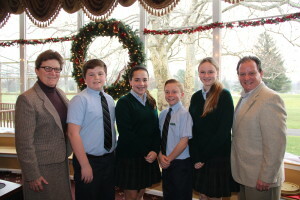 For more information, contact Claudia Campbell, Coordinator Springfield Township Rotary Club (215-233-8919). With a unified dedication, Rotary and our community can make a difference helping our neighbors – Face To Face. Offering dignity, compassion, and a sense of community to hundreds of disenfranchised men, women and children, Face to Face, a 501(c)(3) human services organization in Germantown, is a haven offering food, human warmth, and access to solutions for life’s challenges. Many guests suffer from physical and/or mental health ailments, drug and alcohol addiction, post-traumatic stress syndrome and homelessness. From its origins as a soup kitchen in 1985, Face To Face has evolved into a multi-faceted organization dedicated to caring for every aspect of its clients’ well being on an individualized, person-to-person basis. Located at 109 Price Street, in an historic building rented from St. Vincent’s Parish, the Dining Room serves about 500 free meals each week on Friday, Saturday, Sunday and Monday. For most, the sense of social connection and acceptance they experience within the walls of Face to Face is as nourishing as the food itself. Through many years of commitment to its community, Face to Face has created an environment of trust and hospitality that reacquaints each guest with his/her humanity. Support services include a health care center, legal and social services, computer training, creative arts studios, and children’s after school and summer programming. In addition to these services, a Washeteria provides visitors with a place to shower and do laundry. Face to Face relies on in-kind donations to meet the basic needs of its clients. Face to Face currently needs the following toiletries (small/travel size): Toothbrushes, Toothpaste, Soap, Deodorant, Disposable Razors, Shaving Lotion, Shampoo, Conditioner and Washcloths.